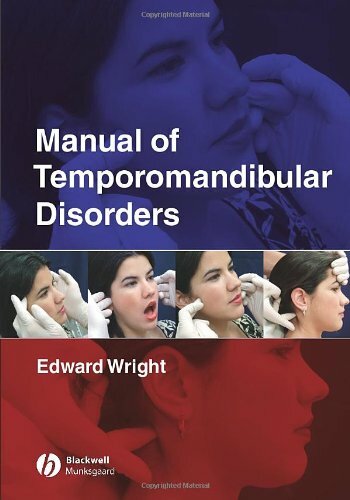 Manual of Temporomandibular Disorders is a four-color, softcover handbook of information on temporomandibular disorders, an array of medical and dental conditions that affect the temporomandibular joint (TMJ), masticatory muscles, and contiguous structures. The book will provide evidence-based, clinically practical information that allows dentists to diagnose TMD accurately, rule out disorders that mimic TMD (that is, make a differential diagnosis), and provide effective therapy for most patients. This title offers comprehensive coverage in a compact package. The book's tone is conversational, with a focus on solving TMD problems at chairside. The author's crisp, engaging writing style allows the clinician to find precise answers quickly, without wading through a morass of detail. "This is a valuable addition to the library of texts on the subject of aetiology, diagnosis and management of temporomandibular disorders. The 19 chapters are set out in a reader friendly way and include ′Quick Consult′ practical information points and ′Focal Points of factual information. ′Technical Tips′ suggest ways of handling some diverse clinical situations and guide the reader towards appreciating the significance of symptoms deriving from different sources. The book is well illustrated in colour and will be of interest to those who want to keep up to date with current thoughts on TMD, practitioners who have a special interest in the subject and to all dentists who wish to expand their knowledge." "The major point of interest to the reader is that the book is clearly and distinctly organized in the manner in which a general dental practitioner would assess treat, and manage a patient with TMD in his or her dental office. The author has demonstrated in this book a thorough understanding of TMD and treatment approaches for the dental practitioner. What makes the book unique is the systematically organized approach with which the chapters are presented. The approach, along with a straightforward writing style, makes the book very easy to read and understand. IN addition, there are numerous illustration and figures to assist the reader; the printing and binding are of a high quality. This book is one of the most straightforward, systematic approaches to understanding and treating TMD that I have read. I found it easy to read and understand and believe it would be so for the general dental practitioner. The book would be an excellent text for dental students studying TMD and is essential for postgraduate programs, especially AEGD and GPR programs. It is a must reference for all general dental practitioners to have in their practice. I highly recommend the book without reservations." Edward F. Wright, DDS, MS, MAGD, is an assistant professor at the University of Texas Health Science Center–San Antonio (UTHSCSA). He completed a 1-year general dentistry residency and the University of Minnesota's 2-year TMJ and Craniofacial Pain Fellowship. He taught TMD diagnosis and treatment to more than 100 U.S. Air Force general dentistry, orthodontic, periodontal, and prosthodontic residents. Upon retiring from the Armed Forces and completing a 2-year research fellowship in TMD diagnosis and treatment at the South Texas Veterans Health Care System, he taught TMD diagnosis and treatment to their general dentistry residents. He is now UTHSCSA's Course Director for their undergraduate dentistry students' TMD Course and Dental Anatomy and Occlusion Course, and Module Director for their splint therapy rotation. Dr. Wright is the primary author of 23 journal articles and 6 abstracts.